The film's depiction of recreational marijuana smoking in an innocent manner without consequences is rumored to be the main reason for its R rating by the MPAA. Continuity: In the scene where Gabby is about to leave home for College she sits in the Toyota Prius and the steering wheel is upright, when the camera returns to her the steering wheel has turned and is almost upside down. 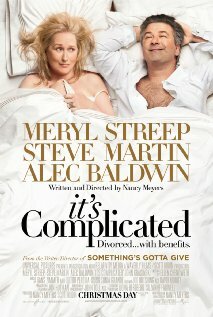 In the best work of her career Nancy Meyers presents the funny comedy, It's Complicated starring Meryl Streep, Alec Baldwin, and Steve Martin. This fast-paced, smart comedy is everything in a mature work that didn't succeed with films such as Something's Gotta Give. Meyers creates three authentic characters with sympathy and everyday qualities that make them identifiable and first-class writing genius. The film tells the story of Jane (Streep), who's ten year post-divorce from Jake (Baldwin), who left her for a much younger woman, hasn't necessarily become water under the bridge. Trying to find some type of happiness in her later years, she meets Adam (Martin), a sensitive architect, who is designing her new kitchen and has had his fair share of divorce stories in the past. But when attending their son's college graduation, Jane and Jake find that everything is as simple as it once seemed. The cast here is one of the best ensemble works of the year. Meryl Streep is naturalistic and in top form showing her sexier side at 60. Streep shows that she can still create a character from scratch and make the woman as real as anyone walking down the streets of New York City. It's one of her funnier turns in years. 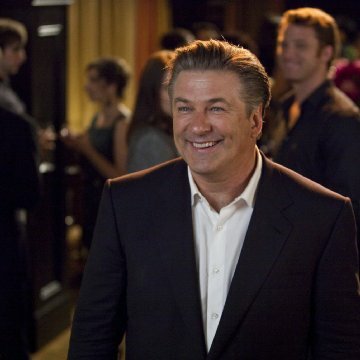 Alec Baldwin, in one of his best performances to date, shows immaturity and careless can get you far in a film. Showing top comedic work, Baldwin seems in the hunt for Oscar recognition. His charm and magnetism is quite surprising as we haven't seen him give a performance this funny ever, not even in his hit sitcom "30 Rock." 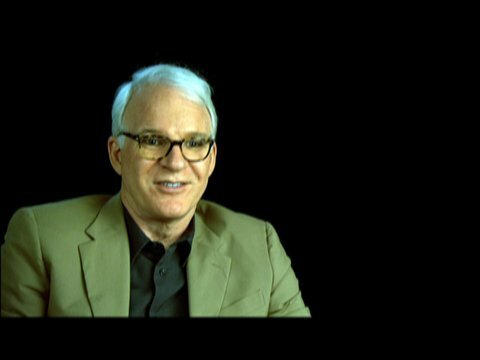 Steve Martin, who I have found overdoes his comedy in some of his later years in film is in control and utterly enjoyable. Martin shows a sensitive side reminiscent of his works in Roxanne and Parenthood, and finds an audience cheer with empathetic tendencies can get you right back to what you do best. It's a return to form for Martin. John Krasinski, who plays Harley, one of Jane's daughter's fiancée, is totally hilarious and drives away from the comedy we once found funny in his "Jim" on NBC's hit sitcom "The Office." Krasinski, in many ways upstages some of the veterans on film as he steals a lot of the spotlight. Krasinski is an outstanding talent to watch out for in the near future as he branches out into more demanding roles. It's Complicated couldn't have succeeded without Nancy Meyers finally showing what good writing can do with the right people, time, and effort put into place. It's the work of her career and she remains a dark horse for an Oscar nomination for Best Original Screenplay. Though the film will definitely appeal to an older generation, the younger can appreciate the zeal and comical dialogue shared between the players. The film does run a bit long and loses some of it's spark in the finale act, but it's pure entertainment and a must-see of the holiday season.